This braided wig accessory consists of two long black braids that hang down and are tied off with a thick red band and gold stripes. It comes with a headband, too, one that matches the ties with the same red-and-gold color scheme. Toss this sweet wig on your noggin because it's the perfect accessory to your choice of look this season. 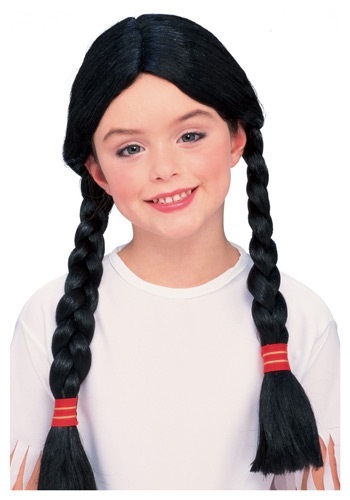 No need to braid those tricky plaits yourself because you can just put on a wig like this one!